It was delicious!! Service was excellent too. Food was piping hot when served and fresh and looked nice. They even substituted as asked. Wonderful food, atmosphere and server!!! We LOVED it! Great fresh food! Sophisticated atmosphere. Great service. Food was great. Portion size was generous. I already recommended this place to a friend. The atmosphere works better if you’re with someone else though. It’s not a place to eat alone. Food, service, atmosphere rate a “5”. 5 highly recommend. Great service and food. We ordered a pizza, it was excellent. The antipasto was very good, but was different than what I expected. I expected it to come with lettuce. With or without lettuce, it was excellent. Tomasso’s was awesome! Excellent waiter! The atmosphere was calm and pleasant. The waitstaff was pleasant. The food was very good, not a huge serving but nice. Solid. This was our first time dining at Tomasso. The staff were friendly, attentive and efficient. Our appetizer of La Zucchinata was divine. Our dinners were both delicious - chicken parm and the daily pasta special. The prices were a bit higher than we would normally pay, but the quality was worth it. We will definitely dine here again. Excellent food and attentive staff. We had a wonderful experience at Tomasso's. Service was excellent, and the food couldn't have been better. We even had enough leftovers to have a delicio9us lunch the next day. Thank you nift! Beautiful restaurant and layout. All the staff were outgoing and tended to our every need. The food and desserts were excellent. What's not to like?! We loved it. Thanks again. Enjoyed delicious appetizers and wonderful pizza. Their dad cebus fantastc! Great for a quick week night dinner. Nice evening, wonderful meal, excellent service. Food was a little too salty. Great service! God food and good price. I enjoyed the food. The only thing that I would change is that I ordered the sea scallop entree, which only came with 3 scallops. For the $29 price, I would have expected more scallops. The atmosphere was very nice though! Mike, our bartender, was so helpful and accommodating. He made my pregnant daughter the most delicious “mocktail”. The room was toasty on a chilly night and the pasta and pizza dishes ...hot and delicious!! Service is superb. Food is delicious and beautifully presented. We had a delicious meal and great wine! The service was great as well. Fab food, really need a reservation. Staff is pleasant and very attentive. Food is remarkable. I will be going back and will recommend to friends. Everything was delicious and the staff was very attentive. Looking forward to returning. Driven by this many times, never went there. This is a great find. Good food, pleasant wait staff. Both my boyfriend and I enjoyed our pastas. Dining room was too loud. Service and food were good. Easy to use for the most part, but it would more intuitive if you put the total of the bill and had it subtract the $30 vs current system. Nice dinner at the bar. Awesome restaurant right near my house but have never been before! Delicious food and great service! My husband and I were both very happy with our meals. We shared an eggplant appetizer and our entrees were a risotto dish with scallops and shrimp and a chicken parmigiana. The waitstaff were very attentive. Amazing! Food was great and great prices, staff was amazing as well!!! Will be back. Their food is delicious! The staff is on point!! A great meal, excellent service, the Bolognese is excellent. 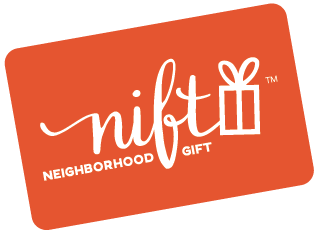 Thank you for my Nift! Loved the menu at Tomasso. Friendly staff, great bar menu! Great place for Italian, Relatively light food which is nice because Italian is usually quite heavy. A good date night place. Wonderful!! Fresh, creative menu, friendly and efficient service, Beautiful decor, nice atmosphere! We look forward to returning soon. Great food. Had a fun night. Will be back. Food was delicious, wine was great, service was excellent as was the ambiance of the dining area - we would happily go back. Great food, attentive service and a lovely setting, overall great experience. great wine list. Nice selection of pastas and starters... Service is very good for Metro West area, which is treat. The meals were delicious! The chef easily adapted a meal to meet my vegan needs. The server and Hostess were both friendly and helpful.